The ANC National Executive Committee convened a consultative summit over the weekend of 19-20 May 2018, focusing on its 54th National Conference resolution on land redistribution, and in particular the use of expropriation without compensation as a primary instrument to speed up land and agrarian reform. The summit included representatives from COSATU, SACP and SANCO, from NGO's, communities, black farmers associations, lawyers, valuators and other professionals working in the sector. 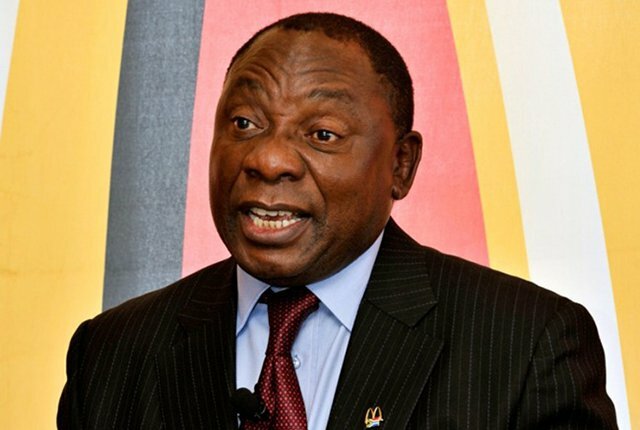 The summit focused itself on broad issues of land redistribution and its recommendations will be submitted to the next ANC National Executive Committee meeting expected to sit this coming weekend from 26th to 28th May 2018. At the core of the issues discussed was the review of Section 25 of the Constitution. The workshop recommends that the ANC make a submission to the Constitutional Review Panel of Parliament, based on the Conference resolution. The workshop also reiterated the ANC's position in other policy documents - that land ownership in South Africa continue to be a mix of state, private and communal land ownership and that the challenges and opportunities for redistribution, urban development and agrarian reform, as well as the rights of black communities, be considered in each of these 'sectors' of land ownership. The consultative summit acknowledged the ANC's historical role is the key player in the creation of South Africa's democratic order and bill of rights. Accordingly, the ANC will continue to defend the core values of our constitution while ensuring that its transformative impulses and democratic intentions are strengthened and clarified through the current Constitutional review processes. 1. Immediately use Section 25 of the Constitution to press ahead with expropriation of land in order to test the argument that the constitution does permit expropriation without compensation in certain circumstances. 2. Immediately pass the Expropriation Bill and Land Redistribution Bill to bring greater clarity to the transformative intent and impact of the Constitution. 3. Ensure that the Constitutional review process is used to avoid ambiguity and bring greater clarity to Section 25(2)(B) of the constitution, if it is found that the current legal formulations impede or slow down effective land redistribution. The workshop proposed that the ANC proceed to affirm the amendment of Section 25 (2) (b) to immediately effect the principle of expropriation without compensation for public purpose and interest. The summit also received input from and noted the report of the Motlanthe High Level Panel on Assessment of Key Legislation & Acceleration of Fundamental Change, and recommended that the ANC further engage with the specific issues raised and the recommendations outlined in the report, including engagements with traditional leaders and communities living on communal land. The workshop outcomes document to the NEC will contain recommendations on accelerating urban land redistribution, so that we decisively change the apartheid geography of our cities and towns and unlock economic value in townships, villages and small dorpies. The recommendations identify the need for a South African agrarian revolution as a key component of land redistribution, promoting small holder farmers, and working together with emerging and existing farmers. The plight of farmworkers and labour tenants was also a particular issue of concern, as millions of them continue to face insecurity in the land of their birth. The NEC will be asked to take decisions that will ensure that particular measures are taken to protect farm workers and dwellers, and that their continued precarious position in our society is addressed. The ANC's 54th Conference resolution on Land Redistribution is a call to action, to decisively break with the historical injustice of colonial, apartheid and patriarchal patterns of land ownership, and to build a South Africa that belongs to all.